Why are you asking us? Is it doing what you want? 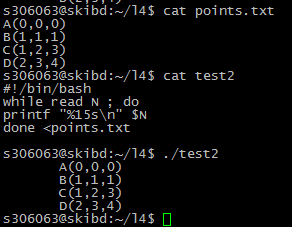 I’m not sure why all the talk of points and names - since the input is the same format as the output, you’re just reading lines and regurgitating them.